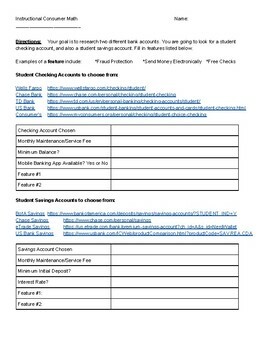 The goal of this activity is for students to research and compare various checkings accounts and their features, as well as student savings accounts. Students were given five different links to choose from that take them to local and national bank branches. The second part students are given four different savings account links where they can click and look up information regarding savings accounts and their key features.